Gray or Black Shorts in a tiedye pattern. 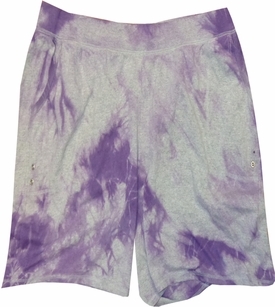 Gray shorts are available in size 5xl, three ways; either a purple marble pattern, a black marble pattern, or with a rainbow of colors in a marble pattern. Black shorts are available in size medium, with a gray/white marble pattern.